Fatty acids have nothing to do with the dreadful love handles and saddle bags we associate with fat , instead they are made of good fats and are significant for a healthy functioning body. They are produced when fats are broken down. Fatty acids, from the family of non-water soluble liquids along with other members of the lipid group including sterols, phospholipids, triglycerides, and waxes, can provide energy to your cells and aid in digestion, among many other things. The fatty acids they produce may be monounsaturated, polyunsaturated, or saturated. Fatty acids are made from carbon, hydrogen, and oxygen. What does this have to do with your hair? We know that a healthy body is the precursor to healthy hair. Fatty acids, in conjunction with other essential wellness elements, work together to build and sustain a healthy body, the precursor to healthy hair. Therefore, consuming fatty acids help to form the building blocks for strong hair as it grows. Through hair care products, fatty acids are applied topically to support the hair and the products as stabilizers, surfactants, emulsifiers, and opacifying agents. Emulsifiers are used for combining two different fluids into an emulsion to make a dissolved mixture. A stabilizer improves and helps to maintain the stability and shelf life of dispersions. Opacifying agents reduce the clear or transparent appearance of cosmetic products, according to Cosmetic Info. Surfactant cleansing agents like stearic acid, lauric acid, myristic acid, oleic acid, palmitic clean skin and hair by helping water to mix with oil and dirt so that they can be rinsed away, according to Cosmetic Info. Some are produced through the body and others like Omega-3 and Omega-6 must be derived through outside sources like fish, flaxseed , or walnuts, as they are not naturally produced by our bodies the way Omega-9 is. Fatty acids are found in oils and other fats from different foods. They are an important part of a healthy diet because the body needs them for several purposes. They help move oxygen through the bloodstream to all parts of the body, aid in cell strength, function, and development, and are necessary for the support of strong organs and tissues. The body could not function without them. Externally they keep the skin healthy and moisturized. Internally they help with digestion and metabolism and support healthy weight loss. 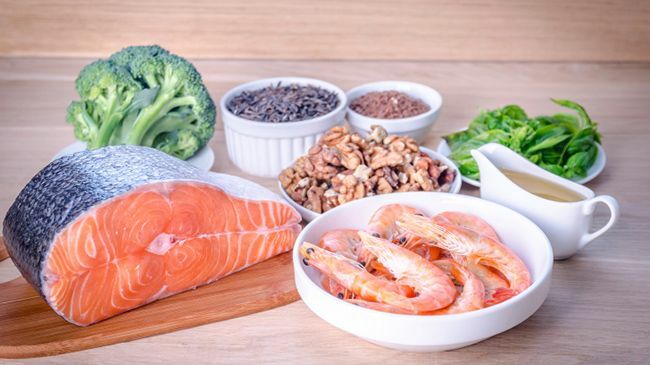 Another important function of fatty acids is its role in hormone production and the regulation of blood pressure, blood clotting, inflammation, and immune response in the body. Both cosmetics companies and consumers are pleased with the benefits of fatty acids for the hair and body. Internally they nourish our bodies from the inside out to produce beautiful hair and skin alike. Topically they support product development by facilitating an appropriate appearance of products, dissolving emulsions to prevent separation, and protect our products from bacterial and fungal growth. Feed your body inside and out with fatty acids and let your hair reflect the many enhancements.